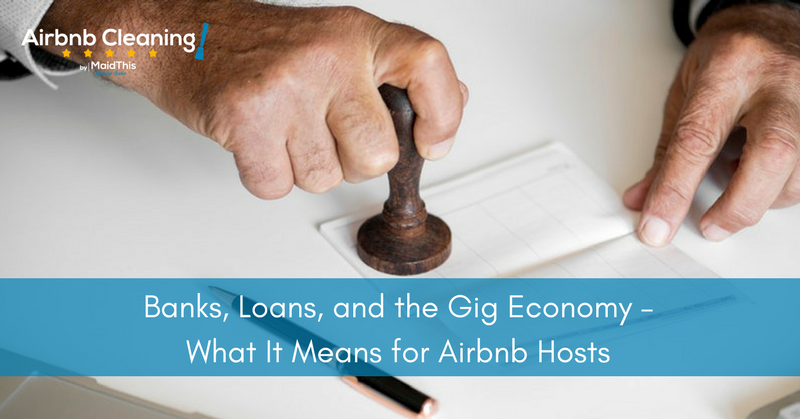 You may have heard recently that Airbnb and Fannie Mae are working together to help vacation rental hosts refinance their homes. While it may sound like a simple solution, it’s a bit more challenging than that. Let’s unpack it, starting with the history of how outside income streams have been viewed by banks and what has changed. The job market has been changing and Americans have been evolving with it. In the years after the Great Recession, more and more opportunities began creeping up allowing people to make money on their terms. As more folks need additional income to make ends meet and others demand more flexibility in their work – and thanks to kickass trailblazers like Chris Guillebeau, Tim Ferriss, and dozens of others – the traditional “9 to 5” is losing its grip on the workforce. From Airbnb to Uber and TaskRabbit to seemingly innumerable freelancing options, the possibilities for starting a “side gig” are practically endless. But if people are earning “real” money, why weren’t banks willing to see it as income? Despite this change in how people make a living in the modern era, banks have been hesitant to accept such fluctuating and potentially inconsistent income streams when it comes to loans – especially mortgages. There’s too much risk, they said. And so, millions of Americans began letting their dream of owning their own home (or refinancing an unfavorable mortgage) fizzle out. Now, big financial players are beginning to acknowledge side hustle income. The gig economy has officially taken a place at the primary breadwinner table. More and more people are leaving their office jobs to pursue other income options and, in many cases, are earning a comfortable living. Just a few weeks ago, Fannie Mae, Quicken Loans, Citizens Bank, and Better Mortgage announced that they are working with Airbnb and allowing income pocketed from side hustles (translation: vacation rental income) to be considered as part of a homeowner’s total income when applying for home refinancing. This is a huge change in how our economy will work moving forward. As massive banks are beginning to acknowledge that side gigs provide sustainable and substantial income, we’ll likely see a shift in other lending areas. The latest news, however, only applies to refinancing primary homes. Those hoping to score financing for a new home purchase will have to continue waiting for the banking industry to catch up with the changing job economy. Regardless, money lenders are taking a step in the right direction. Perhaps one day soon, we’ll see more banks join the ranks of the first four in granting mortgage refinancing to hosts, refinancing on secondary homes, or first-time financing on new home purchases.